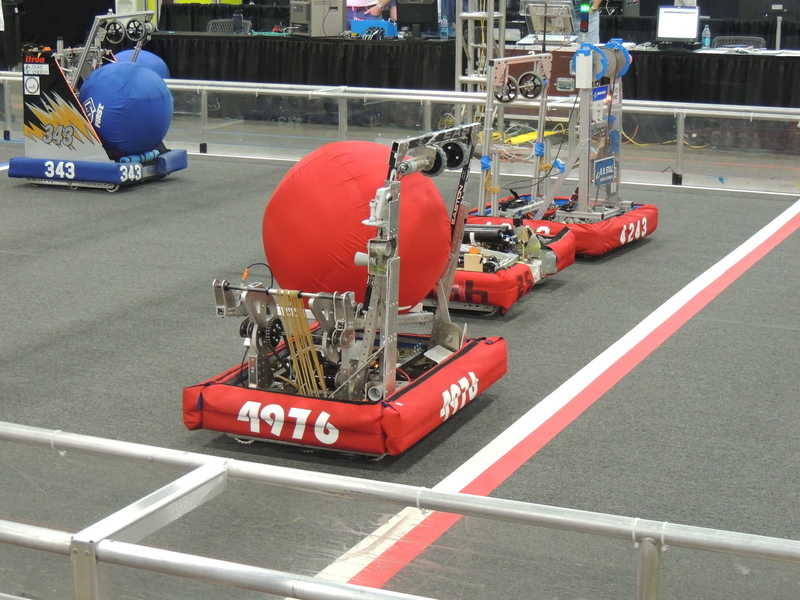 “4976” robot before a match at Palmetto Regional in February, 2014. The logos have suffered some minor damage due to contact with other robots. 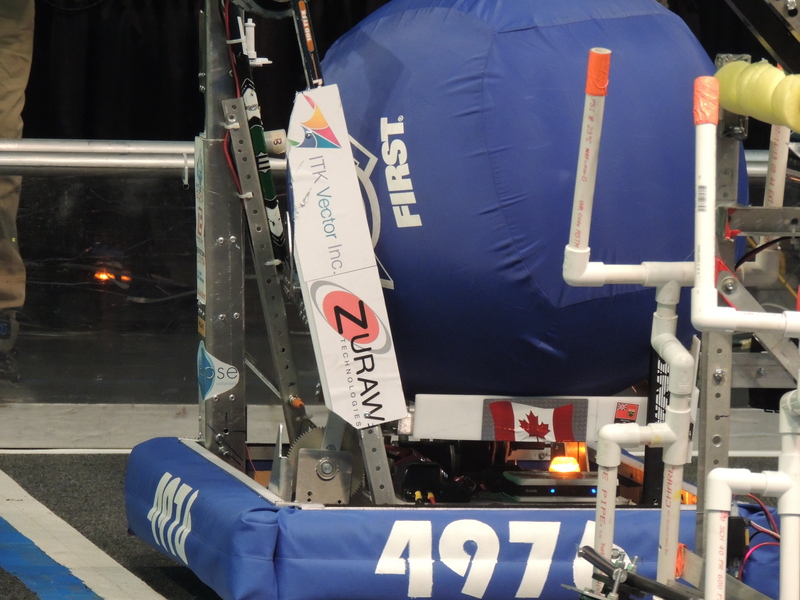 “4976” is ready for the next match. This time we are on the RED alliance! 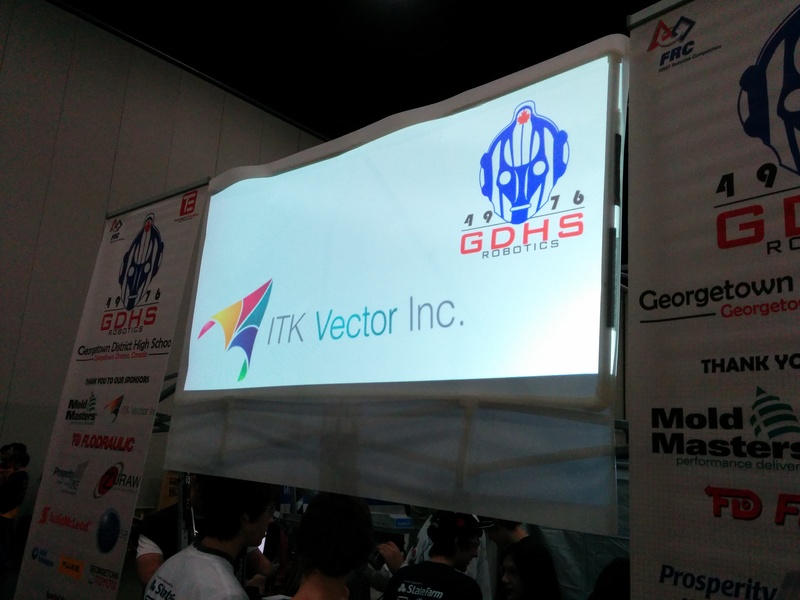 The pit crew of GDHS Robotics team 4976 was able to integrate the sponsors into the display – Thank you!